Gimbal's Fine Candies Gourmet Jelly Beans are simply amazing! I love jelly beans, dare I say even more so than chocolate. 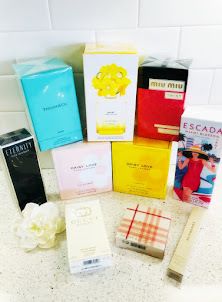 I've always been a huge fan of jelly beans so I've tried just about every brand of jelly beans on the market and I have to say Gimbal's Fine Candies Gourmet Jelly Beans are some of the best around. Gimbal's Fine Candies Sour Gourmet Jelly Beans are made with real fruit juice and are good source of vitamin C. The outside shell is the perfect consistency and the inside if filled with delicious juicy real fruit juice filling. 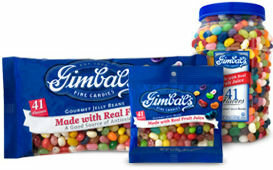 Gimbal's Fine Candies Gourmet Jelly Beans are terrific and super fun to eat. My favorite flavor is the popcorn flavor because it's sweet and salty. 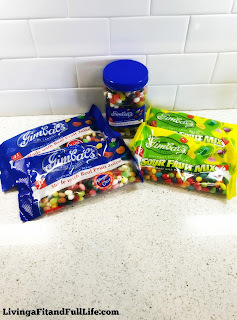 Gimbal's Fine Candies Gourmet Jelly Beans are incredibly fun to eat because you can use the recipe on the back or make up your own creation to create a delicious jelly bean combo. 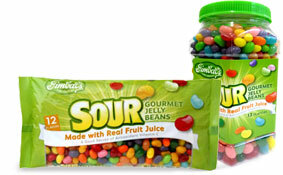 Gimbal's Fine Candies Gourmet Jelly Beans contain 41 flavors as well as vitamin C real fruit juice. Gimbal's Fine Candies Gourmet Jelly Beans and Sour Gourmet Jelly Beans are perfect for Easter and would make a terrific addition to any Easter basket!